Saturday my husband and I were outside doing some outdoors work on our lawn. He was cutting the grass and I was trimming our shrubs. My Lil Bit was her little pool enjoying the sun. Next thing you know, I scream. I feel an excruciating pain on my leg. 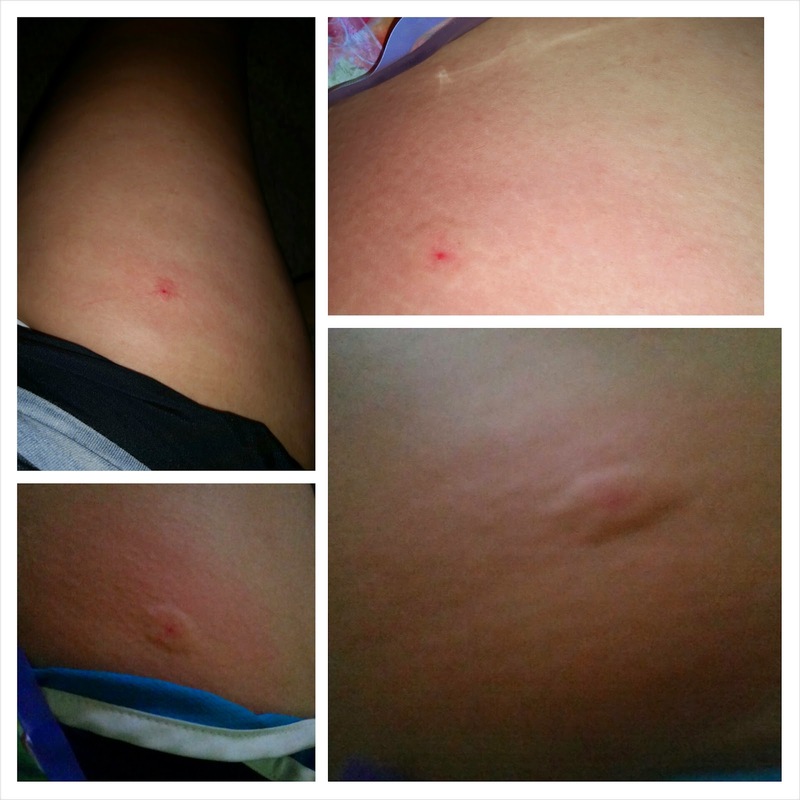 I screamed for my husband and i didn't know know what bit me. Next thing you know my husband, sees the swarm of wasps that has made a nest exactly where I was trimming. This big wasp bit me on my leg. It hurt really bad. I am so glad it was me and not my Lil Bit. The bite soon became a swollen spot on my leg. My husband hurried up and installed Rescue! A little to late for me but not too late to protect the rest of the family from these wasps around our house. 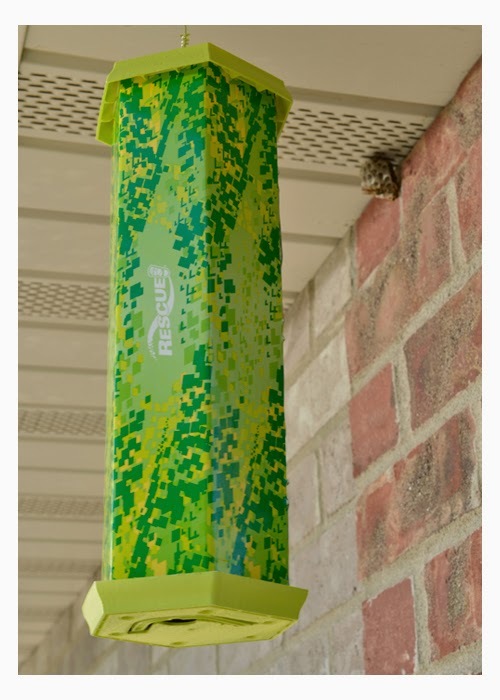 What it catches: The TrapStik® for Wasps catches paper wasps, carpenter bees and mud daubers. How it works: The TrapStik® for Wasps uses new VisiLureTM technology to lure these stinging insects with appealing colors and a multi-dimensional pattern. Wasps are attracted by the colors and patterns on the TrapStik®, then get stuck to the adhesive surface. What kills the insects? : Wasps are lured to the sticky surface, and once stuck, they expire on their own. I hope you don't have these around your house and never get bitten by one. A friend recommended putting a freshly cut potato, cut side down on my bite to take the venom out after you remove the stinger. Luckily I had no stinger in me but it hurt like I did. I took benadryl and it knocked me out so it was too late for me to do this. Have you been bitten by a wasp? Do you have a home remedy? 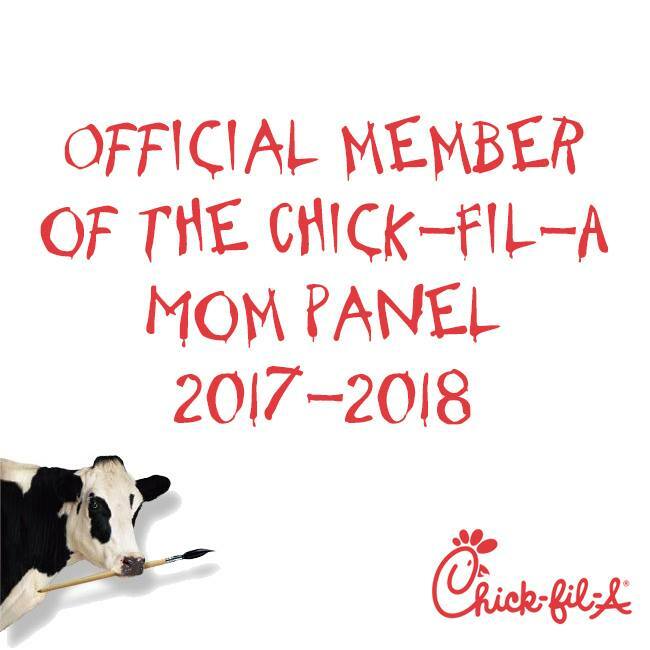 What have you done?